Hours: 9:00 a.m. - 12:00 p.m.
Materials Fee: Materials courtesy of George Hill & Co. This limp binding is based on a 16th century registry of a town’s lumber consumption. 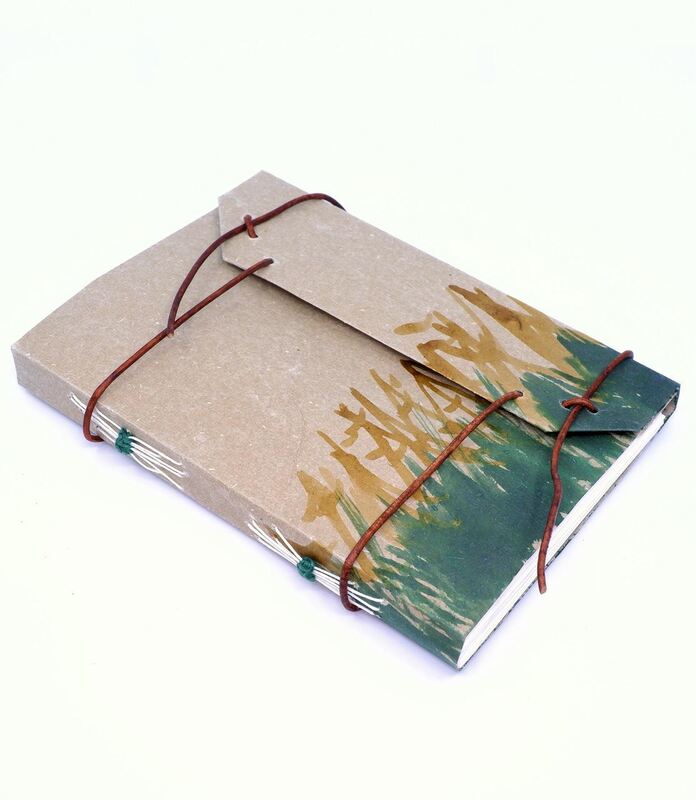 The decorated cover wrap is a folded construction of handmade papers with leather cord closures. The sections are sewn to the cover at two stations, using a unique sewing pattern that is finished off with a final gathering. The sewing is somewhat free-form. This is a great introductory course for beginners.